Equality of outcomes seems "fair" but leads to absolute poverty. Mr. Obama is so offended at the thought of rich people having more money than poor people that he wants to tax the rich more even if total tax receipts go down! Mr. Obama believes that wealth differences are so unfair that government must level, not the playing field, but the scoreboard. He is convinced of this even though he fully understands higher taxes will lead to much lower scores and much less wealth for everyone except the power elites who live off everyone else as he does. Despite its storied past, modern Greek democracy, like much of modern European democracy, is of a post-liberal variety. Post-liberalism seeks to replace the classical liberalism of individual liberty, limited government, property rights and democratic sovereignty with a new liberalism that favors social rights, social goods, intrusive government and transnational law. There really shouldn't be any debate about the matter. Recent history offers unarguable proof that the liberal definition of fairness, that is, people who create wealth must be taxed to achieve economic equality, leads to economic disaster. Mao tse Tung was a conquering Emperor in the Confucian model. The Quing dynasty, which had ruled China since 1644, had been falling apart for a century. Pu Yi, the "Last Emperor," was deposed in 1912 by Japanese invaders. Civil war followed, complicated by American, Russian, and Japanese strategic concerns during WW II. After he defeated Chiang Kai-Shek in 1949, Mao established a communist society. He was a dedicated, convinced communist who believed in strict economic equality. Rather than believing that people should be equal before the law, he went to war against economic and social inequalities. Mao focused his wrath on landowners, traders, bankers, scholars, businessmen, and anyone else who was better off than "the masses." In the name of "fairness," he had "capitalist roaders" and "economic parasites" shot or worked to death in labor camps. His economic policies and political purges are believed to have cost the lives of 50 to 70 million people between the time he took power in 1949 and his death in 1976. Maoism resulted in what American liberals would call an ideal society - his government achieved broad-based economic equality, except for the governing elites who deserved to live better than the masses because of their outstanding service in equalizing the public. He implemented liberals' notion of fairness. By destroying incentives for anyone to become wealthy by providing goods or services that people wanted to buy, however, he ensured that fairness would be achieved at a very low economic level. Mao soon found that ruling a poor country didn't provide much opportunity for international power. When China went to war with India during the Cuban Missile Crisis in 1962, for example, their military success was limited because their economy couldn't fund better weapons. Mao tried to improve economic efficiency through the "Great Leap Forward." Like the Obama stimulus, it was a top-down, command-and-control project to boost economic output. Mao's Great Leap didn't work any better than the Obama stimulus because it didn't allow individual initiative. The Great Leap forbade individual farming. All farmers were forced into collectives to ensure "fairness." Agricultural output fell and millions starved. If Mao had been familiar with American history, he would have known this would happen. The Pilgrims at Plymouth Plantation started out sharing everything they grew, as did those at Jamestown. Both colonies experienced limited food production because it wasn't in anyone's interest to work hard - any increase would simply go into the general stores. Unlike Mao, the colonists were smart enough to abandon that notion of fairness in favor of letting people keep what they grew. Mao's successors recognized the truth of his observation that power grows out of the barrel of a gun. By the time he died, they also knew that guns have to be paid for and men who carry guns have to be paid and fed. Along with other economic reforms, they abandoned collective farming. As shown on the diagram, the Chinese economy exploded immediately after they switched to our definition of fairness. We know of no clearer proof of the difference between the two definitions of fairness than this diagram. The "fairness" of extreme poverty. In following American liberal's definition of fairness - that is, it's unfair for some people to have more than others - Mao's communists ensured that everybody had very little indeed. 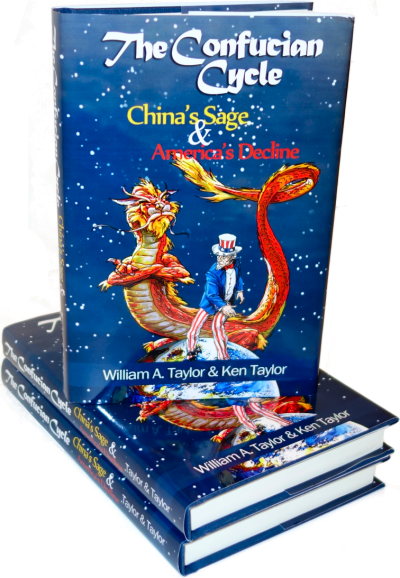 His successors realized that China's tiny GDP made it impossible to play a significant role in international affairs. Their young people were realizing that the rest of the world was far wealthier than the Chinese and rebellion was in the wind. They switched their definition of fairness and declared that entrepreneurs could keep their profits, saying, "to get rich is glorious" just like Ronald Reagan. Suddenly, it was "fair" for individuals to keep the proceeds of their own efforts. The rest is history. Once the government permitted individual initiative, the Chinese economy took off. Inequality is far greater than under Communism, but the overwhelming majority of Chinese are far better off than under communism, even at the bottom levels. In many ways, China is more capitalistic than the United States. Although the Chinese government imposes many regulations, businessmen can bribe government officials to get 'round the rules. This is easier, faster, cheaper, and more predictable than buying regulatory loopholes via campaign contributions as in the US. European economic history shows the same pattern. All European nations are democracies. Their politicians found that they could win office by promising voters that the government would take care of them. As the Wall Street Journal pointed out above, increased spending has led a number of European countries to bankruptcy. Europeans hope that the Germans will pay everyone's bills. Why can the Germans afford to do this? Ten years ago, the German government realized that the road of economic fairness would lead to disaster. They changed their labor market to make it easier to fire people. They cut taxes. They cut welfare spending. They made it easier to start businesses. All Europeans can see the resulting economic prosperity. Instead of imitating the Germans whose economic ideas are known to work, European voters are rioting to urge their governments to ask the Germans to pay to keep the benefits flowing. Why not? It's so unfair that the Germans have so much more than the rest of the Europeans. Its fair to tax the Germans so others can have more. Fairness of outcome - making sure that everybody has the same no matter what they've done to earn it - leads to equality of poverty as demonstrated by the Chinese and is being verified in many European countries. Despite the Chinese government's best efforts during the Great Leap Forward, neither the Chinese nor anybody else can generate economic success from the top down. Mr. Obama can't either. When the Chinese switched to the classical American definition of fairness - that is, people get to keep what they produce - their economy took off. This is as close to a pure single-cause experiment as one could ask. China didn't get any more natural resources, it didn't get any better trade routes after the change. Everything stayed pretty much the same except that individual incentive was now permitted. That was all it took. Once people could keep what they produced, the economy took off. As Adam Smith said, it really is that simple. Let's hope that Mr. Romney can find a way to make that point before the coming elections.